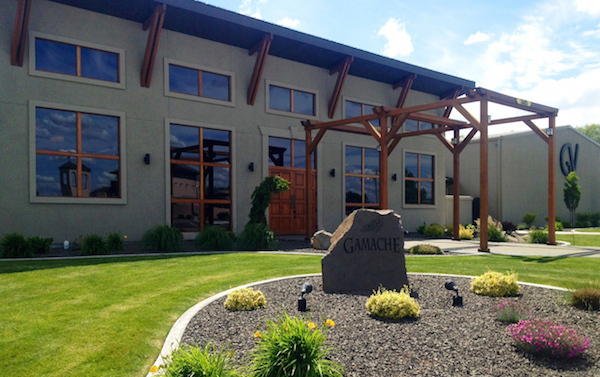 BASIN CITY, Wash. – Gamache Vineyards, one of Washington’s oldest and most respected vineyards, has new owners. Allan Brothers of Naches, Wash., announced Wednesday that it has purchased Gamache Vineyards in Basin City. Allan Brothers, a fourth-generation apple farming family, purchased historic Sagemoor Vineyards last year. 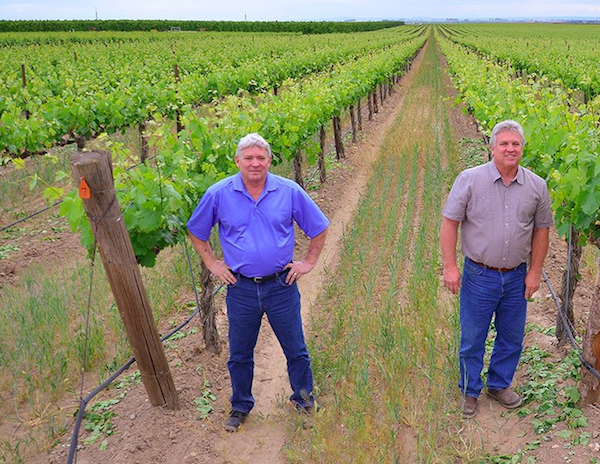 Roger and Bob Gamache established Gamache Vineyards in 1982 with their father. Last year, Bob Gamache announced his retirement, and his brother Roger said the sale of their 220-acre farm overlooking the Columbia River helps the family with that transition. “We needed to move on and get that completed,” Roger Gamache told Great Northwest Wine. Though his brother is now retired, Roger Gamache has no plans to slow down. Last spring, he planted 5.5 acres of wine grapes on famed Red Mountain in the eastern Yakima Valley. 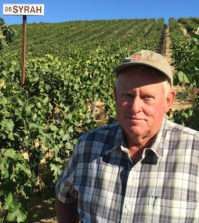 He also manages a juice grape vineyard near Basin City and has a commercial farming operation that includes vineyard pruning and harvesting services. And he will continue to run his 3,000-case winery, Gamache Vintners, which has a tasting room in the Yakima Valley community of Prosser. 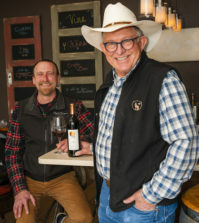 Gamache’s wines are made by Charlie Hoppes, owner and winemaker of Fidelitas Wines on Red Mountain, whose 15-acre property is adjacent to Gamache’s new planting. Hoppes said he looks forward to continuing to work with Gamache grapes. He added that he enjoys working with that fruit because the coolness of the Gamache site allows the grapes to ripen more slowly and unveil fascinating varietal characteristics. Dionysus Vineyard sweeps down toward the Columbia. Dionysus is part of Sagemoor Vineyards, one of the oldest and most respected vineyards in Washington state. Kent Waliser, general manager of Sagemoor Vineyards, is excited about the new acquisition because it adds to the quality and legacy of Sagemoor. Sagemoor was first planted in 1972 along the Columbia River north of Pasco. Today, the farm includes Sagemoor, Bacchus and Dionysus vineyards along the Columbia and Weinbau Vineyard upriver on the Wahluke Slope. Some of Sagemoor’s oldest vines include Cabernet Sauvignon, Riesling and Sauvignon Blanc that date back to 1972. Until last year, Sagemoor was owned by a group of investors who came together beginning in the late 1960s. At the time, Washington’s wine industry was minuscule. When the Sagemoor group took the chance to plant hundreds of new acres, it singlehandedly fueled the growth of the Washington wine industry by becoming the state’s first large-scale vineyard. Today, Sagemoor provides grapes to about 80 wineries, primarily in Washington. Gamache Vineyards, meanwhile, is about 180 acres in size (along with 30 acres of stone fruit orchards). The Gamaches’ oldest vines are Riesling dating back to 1983, as well as Cabernet Sauvignon and Sauvignon Blanc that were planted in 1985. Gamache Vineyards, which is about 30 miles north of Pasco, is known as a cooler site compared with Red Mountain and the Wahluke Slope. That said, in the past 30-plus years, it has seen little damage from winter freezes compared with areas in the Yakima and Walla Walla valleys. The Gamache brothers are fourth-generation Washington farmers. 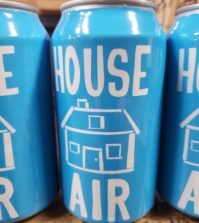 They grew up in the Yakima Valley, where their family grew hops. They are cousins with grape grower Paul Champoux, who sold his famed Champoux Vineyards last year when he decided to retire. Gamache sells grapes to about 35 wineries, some of whom overlap with Sagemoor’s customers. Its biggest customers include Ste. Michelle Wine Estates and Middleton, which owns Cadaretta Wines in Walla Walla. Waliser said his hope is to continue to provide grapes to all the wineries that are current Gamache customers. Thanks in no small part to Gamache launching its winery more than a decade ago, a few other wineries have begun making vineyard-designated wines from Gamache Vineyards. For example, William Church Winery in Woodinville made The Seattle Times top 50 list last year with a Gamache-designated Malbec from the vaunted 2012 vintage. 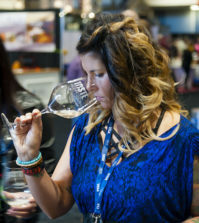 This is in addition to Gamache’s own wines consistently earning high marks and top medals. Working with the vines is exciting for Waliser, who took over operations at Sagemoor in 2002. With the new acquisition, he and his team will be farming more than 1,100 acres, one of the largest in the state. Waliser also is happy with the diversity of climates between Sagemoor’s vineyards and Gamache. He said Gamache is anywhere from seven to 10 days later in ripening than Bacchus and Dionysus. Sagemoor, meanwhile, is considered one of the warmer sites in the state, with its Sauvignon Blanc typically one of the first blocks picked anywhere in Washington. This, Waliser said, provides him with opportunities to better align some of his grape choices at Sagemoor with the climate provided.